I asked the Vienna Moms group for an idea they’d like me to explore. 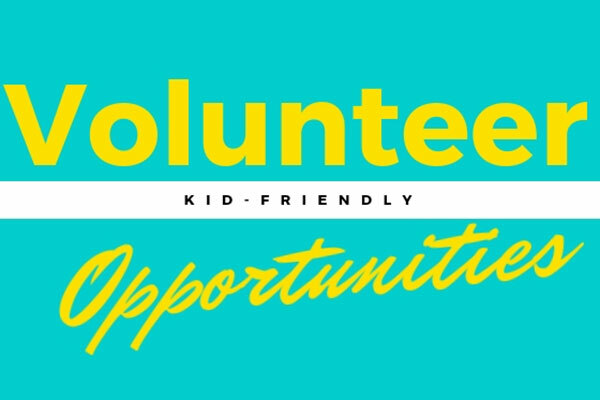 No surprise at holiday time, I was tasked with finding opportunities for volunteering, especially kid-friendly options. While there are no shortage of deserving and worthwhile causes, I did focus on events that welcome kids. There are many, many great organizations that’ll help match you with a cause you find worthwhile. I’ve included links to those below if none from my list fit your needs. Did you know that there are many kids in our area will have little to nothing to eat over the weekend? The Power Pack allows elementary aged students to bring home a pack of food to eat. The pack contains 2 items for breakfast, lunch and dinner, plus 2 snacks and 2 drinks. You can help by creating these using ZipLock bags at home or by organizing a larger group drive (the preschool my kids go to have done this and it was a huge success). You can donate the bags to their Merrifield warehouse Monday through Friday from 2-5 p.m. (call 703-207-9173 first to confirm a delivery time). You can also download their food drive kit here. Sign up for a 3 hour time slot to help sort and pack donations. Ages 12 to 17 are welcome to volunteer with an adult. They have a location in Downtown D.C. or Lorton, both with volunteer opportunities. They also have a marketplace opportunity (outdoor). Search their opportunity calendar to find what fits your time. Not a Holiday related opportunity, but a good one for the family to remember. The Fairfax County Watershed Cleanup helps keep trash and debris out of waterways that feed the Chesapeake Bay. There are many locations, registration opens March 1 and the events occur in April starting at 9 a.m. The Scott’s Run Nature Preserve spring cleaning in McLean is April 13. A full list and details can be found here. To volunteer here, you must be 18 years old and able to lift 20 pounds. If you’d like to help with dogs, cats and other small animals, sign up for volunteer opportunities when they need help. Those opportunities can be found by checking their Facebook page for announcements.